How many times have you heard of the advice to eat five or six small meals a day in order to stay healthy and loose weight? We have all been taught not to miss breakfast ( ever!) as it is the most important meal of the day. This is old news; and today its nothing but a myth. It was believed that eating small meals throughout the day keeps our metabolism “revved up” and facilitates weight loss. However, there is little evidence to support this way of thinking. In fact, “eating many small meals a day” has negative implications. When people are told to eat many small meals a day, wheat they actually tend to do is “eat something all the time”. It is of no coincidence that this way of “eating” led to skyrocketing rate of obesity in our country and the world overall. The other major misconception that led to increased rate of obesity was the government’s “low-fat” dietary recommendations that led to over consumption of carbohydrates that caused insulin resistance and as a consequence became root cause for majority of inflammatory diseases such as diabetes and hypertension to name a few. 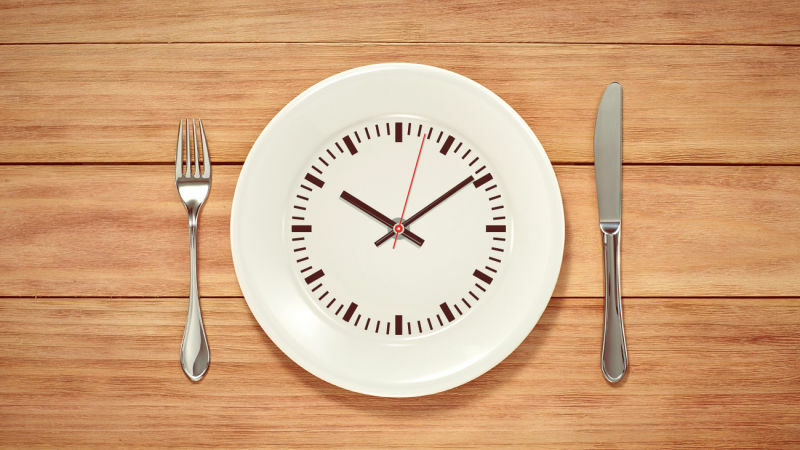 The time has come to explore the opposite idea: regularly allowing greater-than-normal amounts of time to pass between meals, a practice known as “intermittent fasting,” or IF. Helps loose weight and maintain it long term. Exercising in a fasting state can help preserve muscle and prevent muscle aging. Fasting periods also help eliminate toxins left by dead and damaged cells, a process known as autophagy. A failure of autophagy to keep up with accumulated cellular debris is believed by many scientists to be one of the major causes of the chronic diseases associated with aging. Occasional fasting also seems to boost activity and growth of certain types of cells, especially neurons. This phenomenon explains sharper memory and cognition in people who consider intermittent fasting. Fasting will help shift your metabolism to fat-burning mode. It is best to exercise in the fasting state. However, consider supplementing with whey protein drink as you recovery drink/meal. Quality of food you consume is just (if not more) important is the timing of food consumption. It is not recommended to consider intermittent fasting if your diet consists of processed refined foods (fast food). It is PARAMOUNT to exclude refined carbohydrates, sugar/fructose and grains! Pay close attention to how you feel and don’t take any changes in the way you feel or your energy levels lightly. You need to consult your health provider if you are diabetic, pregnant or breastfeeding. I think there is an evidence for the health benefits of IF! Getting hungry now and then is clearly a healthy thing to do as long as overall caloric intake stays high enough to maintain a healthy weight. (Fasting, like every other healthy activity, must be done sensibly and in moderation.) Many people who follow IF regimes report both physical and mental benefits, including improved energy and concentration, better sleep, and an overall feeling of well-being. Let me know if I can help you create an effective eating plan and schedule. 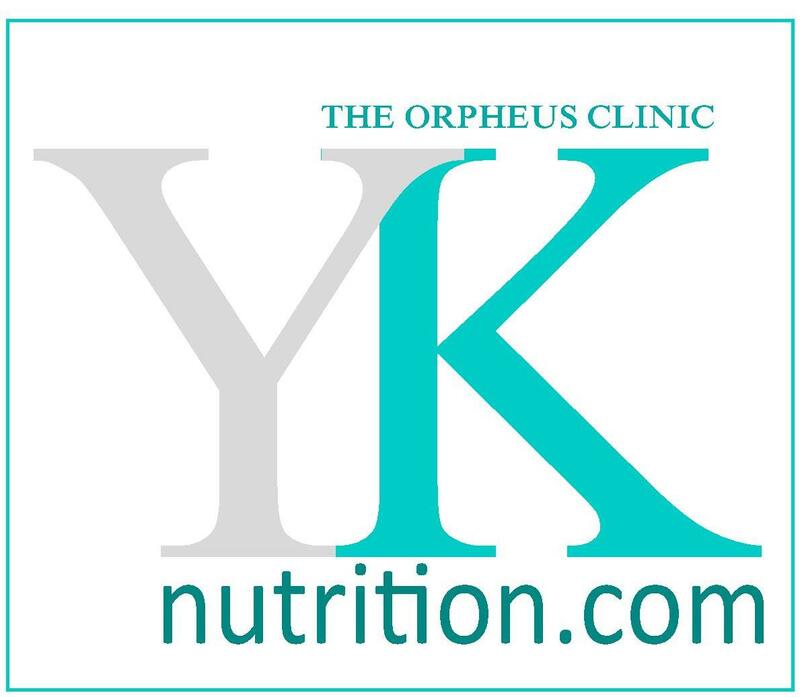 © 2015 Yuliya Klopouh, The Orpheus Clinic. All Rights Reserved. Questions regarding your health should be directed to your primary care doctor. *Statements on this website have not been evaluated by the Food and Drug Administration.These products are not intended to diagnose, treat, cure or prevent any disease.